The bride's scrunched-up smile in reaction to the groom's kiss feels wonderfully natural and intimate. 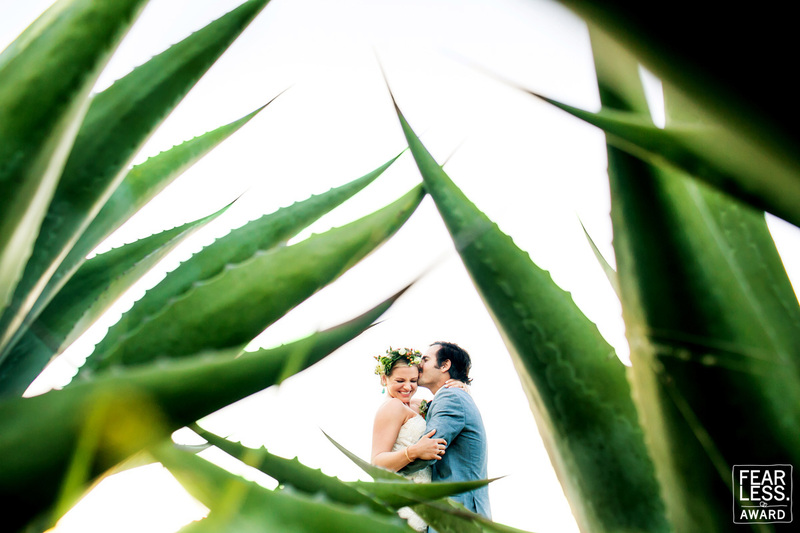 A jumble of green fronds streaks up through a clean, white sky and frames the couple in a perfect triangle. Their spiky shapes are a perfect foil to the soft-and-sweet moment being shared by the bride and groom.